Current trends in processor architectures increasingly include more cores on a single chip and more complex memory hierarchies, and such a trend is likely to continue in the foreseeable future. These processors offer unprecedented opportunities for speeding up demanding computations if the available resources can be effectively utilized. 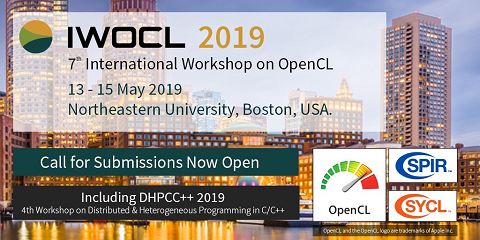 Simultaneously, parallel programming languages such as OpenMP and MPI have been commonly used on clusters of multicore CPUs while newer programming languages such as OpenCL and CUDA have been widely adopted on recent heterogeneous systems and GPUs respectively. The main goal of this dissertation is to develop techniques and methodologies for exploiting these emerging parallel architectures and parallel programming languages to solve large scale irregular applications such as the construction of inverted files. The extraction of inverted files from large collections of documents forms a critical component of all information retrieval systems including web search engines. In this problem, the disk I/O throughput is the major performance bottleneck especially when intermediate results are written onto disks. In addition to the I/O bottleneck, a number of synchronization and consistency issues must be resolved in order to build the dictionary and postings lists efficiently. To address these issues, we introduce a dictionary data structure using a hybrid of trie and B-trees and a high-throughput pipeline strategy that completely avoids the use of disks as temporary storage for intermediate results, while ensuring the consumption of the input data at a high rate. The high-throughput pipelined strategy produces parallel parsed streams that are consumed at the same rate by parallel indexers. The pipelined strategy is implemented on a single multicore CPU as well as on a cluster of such nodes. We were able to achieve a throughput of more than 262MB/s on the ClueWeb09 dataset on a single node. On a cluster of 32 nodes, our experimental results show scalable performance using different metrics, significantly improving on prior published results. On the other hand, we develop a new approach for handling time-evolving documents using additional small temporal indexing structures. The lifetime of the collection is partitioned into multiple time windows, which guarantees a very fast temporal query response time at a small space overhead relative to the non-temporal case. Extensive experimental results indicate that the overhead in both indexing and querying is small in this more complicated case, and the query performance can indeed be improved using finer temporal partitioning of the collection. Finally, we employ GPUs to accelerate the indexing process for building inverted files and to develop a very fast algorithm for the highly irregular list ranking problem. For the indexing problem, the workload is split between CPUs and GPUs in such a way that the strengths of both architectures are exploited. For the list ranking problem involved in the decompression of inverted files, an optimized GPU algorithm is introduced by reducing the problem to a large number of fine grain computations in such a way that the processing cost per element is shown to be close to the best possible.